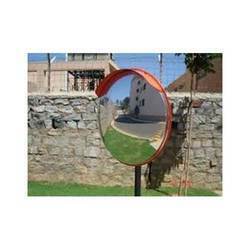 Leading Manufacturer of kohinoor convex mirror ke-21, safety mirror and road mirror from New Delhi. 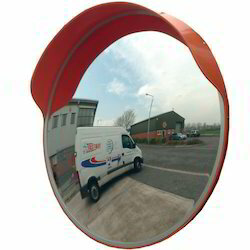 Our firm specializes in providing our prestigious clients with a quality array of Convex Mirror. The offered mirror is designed using the best quality basic material and ultra-modern technology under the guidance of adroit professionals. 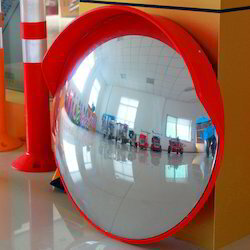 Used for blind spots at internal lanes and parking, we provide this mirror in different sizes and specializations. Moreover, this mirror is widely praised in the market for its various quality attributes. Blind Spots, Parking roads & by lanes. inside shops for greater all round view. The mirrors are light weight & come with fixtures. Eco friendly as these do not emit toxic fumes on burning. Single piece polycarbonate used for greater damage resistance. FRP is used in making brim & back holding plates. Over head inspection for Trucks. At Blind Corners, Aisles & Corridors, Showrooms & Store Surveillance, Driveways & Garage, Give Best All Round View For Traffic Prevention, Mining Areas (Especially For Cement Industries), Crossing Roads, Apartments, Hospitals, Hotels, Lodges, Schools, Colleges, Cinema Halls, Marriage Halls, Shopping Malls, Auditorium, Parking Area, Jewelries, Banks, Bus Stand, Railway Station, Air Port.